Earth itself does not need to ascend. Earth was made with its higher planes already in tact. Have you ever heard of the term “Seven heavens”? In this website, I have mentioned it. Yes. Earth is already multidimensional. But the spiritual planes are not what you think. I will go into that another time. However, breaking down the matrix is not that hard. And that is what we are in. Many think this means we are in a computor simulated program. Not quite. Something like that, but instead, it is made of living light. Thus, the title of these teachings. With Earth having multiple levels already, it is not the planet that needs to ascend. It is the conscious awareness of those living on it. Do you believe in evolution? I will not deny that a from of evolution exists. Yes! But this evolution does not include man growing from a fish, to a monkey fish, to a full monkey, to man monkey, and then into man. Everything in Creation was created with a special code. Many call this DNA. In the creation, all of the ideas were already in place of how it would be, and who would be here. Nothing is physical. It is all about how you perceive your state of existence. For example, in other star systems, not all of them are 3D. Some live on a higher vibration. That includes their body. This means, to us in 3D they would seem spiritual since they are on another plane of life. But to them, they are expereincing life as we are today. Face to face, interacting. He also said: “They are from the world and therefore speak from the viewpoint of the world, and the world listens to them”. How can anyone claim to be free, if they still follow the trends? It is one ting to keep what is true, but to follow it all as truth merely to belong, that goes on to prove my point. So what does this have to dfo with the world itself ascending? Well, like I said, many do not see that it is truly human consciousness, animal consciousness, all of life here, who need growth. Many have grown too. 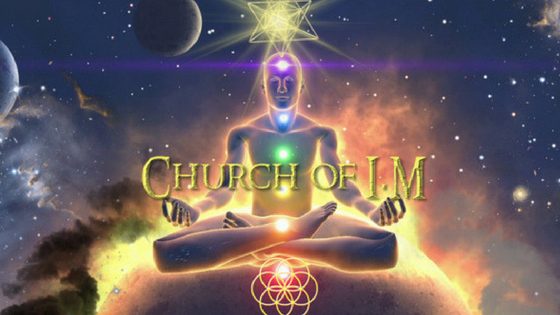 Much of what they have grown to are the fads and trends of the spiritual movements of today. But others have expanded the mind, and put it into their actions while still in existence here, to prove it. A master builder is exactly that, a MASTER builder. This means that they have aligned their consciousness to their way of life. If everyone did this, then we could say yes, the world is ascending. It is not the whole world right now though. Only a small percentage. That is what is needed. Right now, many are being conditioned to become vegan. Many are getting involved in health practices such as yoga, transcendental meditation, and mysticism. The occult is being promoted everywhere. However, we have a bit of a duality here in this, because loose sexual conduct, pseudomaturity, living life without any morals, and Do what thou wilt, are all being promoted as well. So while teaching the many souls here to practice spiritualism, it is also teaching to do anything that you want, grow up and be sexual early, and act without thinking. That is going to lead to having future generations who are unruly but have a spiritual outlook? I am a believer in the “Do what thou wilt” concept. Truly. However, this more or less applied before crime and immorality became huge in this world. It was more so a guide for being a Creator of your own life. To become successful, live in happiness, and love, and make life any adventure that you wanted without the limitations of money, debt, or owing anyone to breath. If a person can be enlightened, while making good use of it, then the world would really grow. In society now though, many are being introduced to wisdom, but being dumbed down in other ways. What good is it, to train our people to meditate and learn esoteric wisdom, if they are going to not care about other things? Helping each other, giving, and saving lives… Consideration, fairness, and unity? Being polite, compassionate, and charitable? Those things today do not seem to matter. But yet spirituality does? Is that not hypocrisy? Noone will ever be perfect. And here, you do not have to be. You are learning from mistakes. But what if you did not have to make them to learn? People in higher planes who were created there obviously did not have to live in duality to become as advanced as they are now. Why not humans? It is hard to not be led to make mistakes here for many. TV, Music, what others do, all influences others. I have seen the times here change. And in the times when those things did not exist, people were kinder. While we will always have it now, it is important to not let it take over your life. Many think that just watching a spiritualist on Youtube and reading some websites will birng them wisdom. While it can, it is actually getting out there and living life that brings a great deal of wisdom. Seeing new things, being around new people, and reading, seeking, thinking, contemplating, listening to the perspective of someone elses point of view to a life expereicne that they had, which was similar, it all brings great depth. I will say that no, the planet itself is not ascending./ It does not need to. But the consciousness of the life here has to rise yes. And that is happening. Not in everyone, but it is taking place. However, we can not get everyone on board if they can understand that all of what I have said above, is what is truly needed. Expanding your consciousness is more than a saying, or re-quoting from other resources. It is truly developing your own perception to your life and the purpose behind all that is in it, and your personal connection to spirit from that. Learning how the world became this way, the truth behind it, helps. It gives a foundation to build on, because you then know that you are a victim. Of this world, and of yourself and those around you. It is then saying that you will not br a victim anymore, and making the most out of the life that you have, to build it into all that it can be based on all of that. The world is changing. In some areas for the better, and in some areas for the worse. But it is not until all areas of life here can be balanced and full of peace, that we can say that this “world” has grown fully. And with that, it can only go one of two ways from here. It can get worse, or it can get better. In looking at what the world is pushing off onto people now, and the levels of crime, sickness and siease, which do you think will happen first? You can live a better, happier, fulfilling life of having all that you ever wanted… Don’t you want to know how?